Jesus set the example for us. Ephesians 5:23-25 talks about marriage as being a mirror image of the relationship between Jesus Christ and the Church. In talking about the Church, Jesus said in Matthew 16:18 that He would build it. Jesus didn’t just find a beautiful bride without spot or wrinkle, but He began building the Church by giving up His life for us, washing us with the water of the Word and making us holy and clean. The Bride of Christ, His glorious Church, is a result of Jesus choosing to build it. Great homes, great marriages, and great families have to be built in the same way. It takes sacrifice and work, but the rewards are priceless! We can develop the skills necessary to make our home pleasing to God. The “building tools” we need to acquire come from God’s Word. Establish routine devotional times in your home to pray and read the Word together. 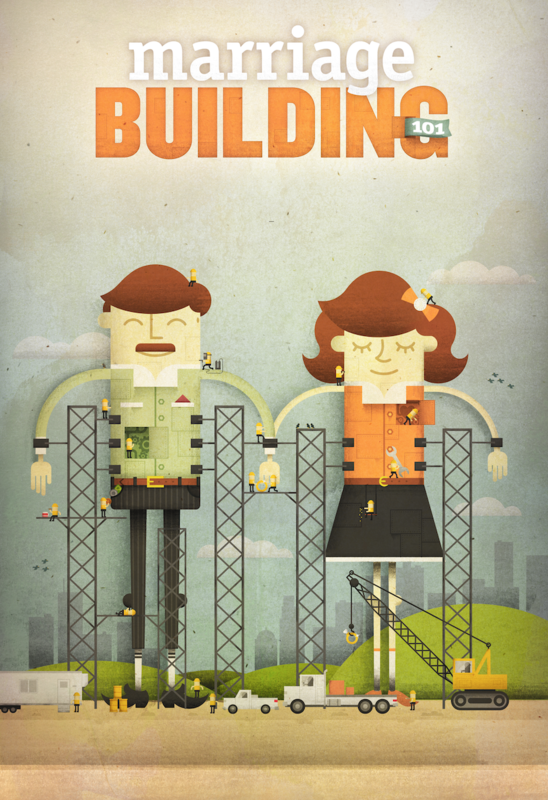 As you include God in your building process, He will show you specific things you can do to build a great marriage and family! Building great marriages and families requires skills we weren’t born with. The good news is that it’s never too late to learn!